If you’re looking for a bright spot in any sector of aviation, the best place to start is the helicopter segment. The rising price of oil along with the continued growth of EMS and SAR have helped helicopter manufacturers maintain rather healthy production numbers. 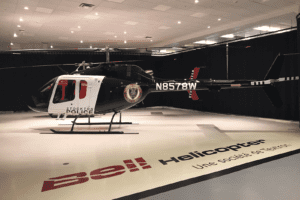 In fact, at last year’s Heli-Expo, Honeywell’s annual Turbine-powered Civilian Helicopter Purchase Outlook predicted that upwards of 4,400 new helicopters will be delivered through 2014. While we don’t know how those numbers are actually playing out, if the predictions are even ballpark close, that’s pretty darn good. And while that’s really good news for the OEMs, it does pose a bit of a dilemma for both large and small commercial operators who need to upgrade their fleets to take advantage of emerging opportunities. You see, while the delivery numbers look great, the vast majority of those new helicopters are already spoken for. In short, if you need a new helicopter in 2013, you had better have ordered it in 2010. So the world’s operators are being forced to fly their current helicopters longer than before. 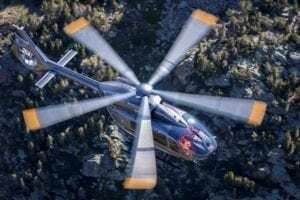 And while that may have been a problem in years past due to antiquated electronics, thanks to an expanding array of aftermarket options, with the right upgrades a decades-old helicopter can do practically anything a brand new model can do. And, as the old saying goes: At a fraction of the cost. “When it comes to avionics upgrades, operators have a variety of good choices available to them today,” explains Elvis Moniz, vice president of operations for helicopter MRO Vector Aerospace Corporation’s operation in Langley, British Columbia. “Modernized helicopter flight decks offer a great deal of safety benefits through reduced pilot workload, enhanced situational awareness and increased mission capabilities,” he adds. Vector is one of a number of helicopter MROs offering a variety of avionics and instrument upgrades for a growing list of legacy helicopters including the Bell 205/206/407, UH1H, Eagle 212 Single, Eurocopter AS350, 355FX, Sikorsky S-76, S-61 and others. Vector Aerospace completed this panel upgrade in a Eurocopter AS355FX cockpit. No matter what kind of airframe they’re mounted in, there’s no debating the numerous and dramatic safety and operational advantages flight crews get from a panel full of glass displays and advanced systems. But, as Moniz explains, the benefits even extend to when the aircraft is not flying. Reduced spares inventory, elimination of ongoing overhaul costs of gyros [and mechanical instruments], lower AOG related costs and less system troubleshooting downtime are all factors that contribute to reducing operating costs, according to Moniz. Even if you don’t have the budget for new glass, a frequently overlooked avionics upgrade is the replacement of aging wiring. While not a simple task, swapping out decades-old wiring and connectors can pay great dividends in reducing downtime and unscheduled maintenance costs. And while most avionics additions are discretionary, some operators are going to be faced with mandatory upgrades like those required by the pending NPRM for EMS and commercial operators to install H-TAWS and possibly lightweight aircraft recording systems by late 2014. There’s no firm decision yet, but having things like that in play can certainly impact any panel upgrade plans you might have in the near future. While all avionics packages and glass displays may look the same, there’s a huge difference in how they are installed in a helicopter compared to an airplane. Moniz stresses that no matter what type of upgrade you are thinking of performing make sure you work with/through an experienced shop. “That is key to a quality upgrade, which will allow the new equipment to operate to its full reliability and potential,” he notes. One last thought on installations: Moniz also warns about operators “falling in love” with a particular piece of equipment and not taking the time to research to see if there’s a supplemental type certificate (STC) available for that unit on their helicopter. Bottom line—don’t let any shop go to school on your project. 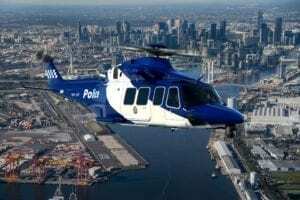 Ascent Helicopters recently updated its Bell 205A++ with a Sagem glass panel. Mitchell says that while the helicopter’s avionics upgrades included four new Rockwell Collins multi-function displays, AHRS, Mode S transponders, upgraded radar altimeters, and a pair of Garmin GN530s—which all contributed to creating fleet commonality and greater operational safety—the biggest benefit came from completely changing out the 40-plus year old wiring and connectors. He also explained that while CSC AUTEC is not a high-hour operator, the operator does fly in one of the harshest and most corrosive environments imaginable. On top of that, thunderstorms in the Bahamas can get pretty nasty. Mitchell says that along with choosing Vector because of their experience with the older Sikorsky model, they also selected avionics that were proven to be able to stand up to both the rigors of helicopter operations and harsh environmental conditions. CSC AUTEC’s primary mission is in support of the Atlantic Undersea Test and Evaluation Center, or AUTEC. 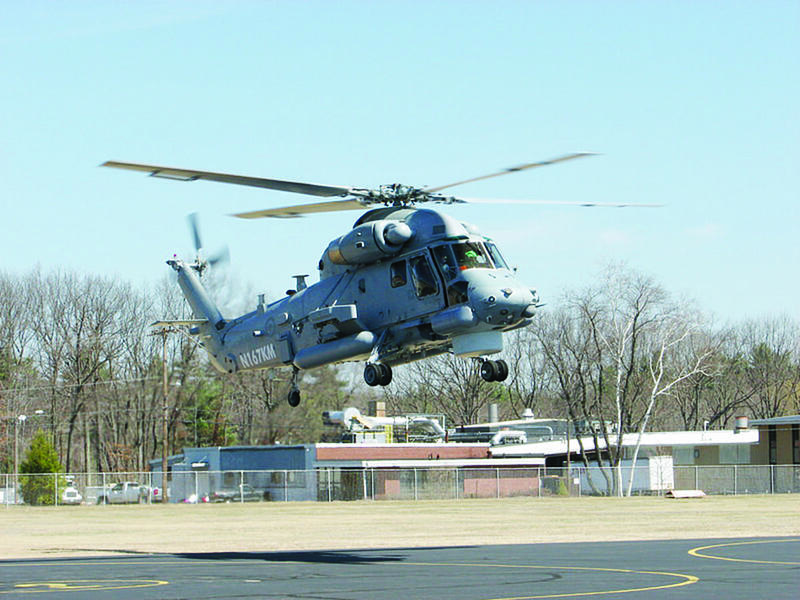 The company’s helicopters are used to retrieving targets and testing torpedoes used for training by the U.S. Navy, which means dispatchability is critical. Along with being a VFR helicopter charter service, Lemke explains that the company does a lot of specialty work including heli-skiing, firefighting, medevac, power line construction and mining exploration. “We spend a lot of the bush with both of our mediums [the company also operates a Bell 212 and a 206L], so they’re decked-out pretty well,” he says.